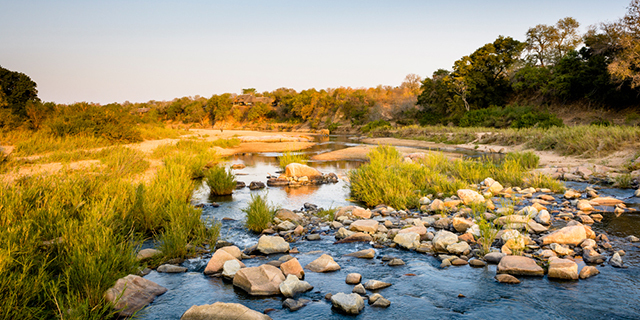 Singita enjoys a prime location within the world famous Sabi Sand Private Game Reserve, on the western border of the great Kruger National Park. 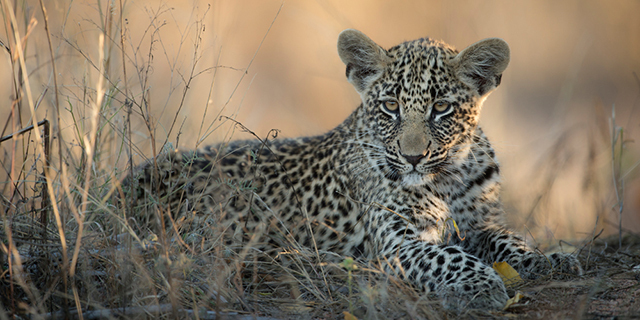 The Kruger Park (a 5.5 million acre sanctuary for wildlife larger than the state of Massachusetts) is widely regarded as Africa's premier game reserve, and animals freely move between Kruger and the Sabi Sand, unhindered by fences. The Sabi Sand Reserve is one of the most game-rich areas within the Kruger ecosystem, with species diversity being a particular highlight. Game-drive safaris at Singita are conducted in specially adapted open Landrovers carrying a maximum of six guests, with professional guides and trackers on board to locate animals, and provide interesting background information and facts about Africa's spectacular wildlife. 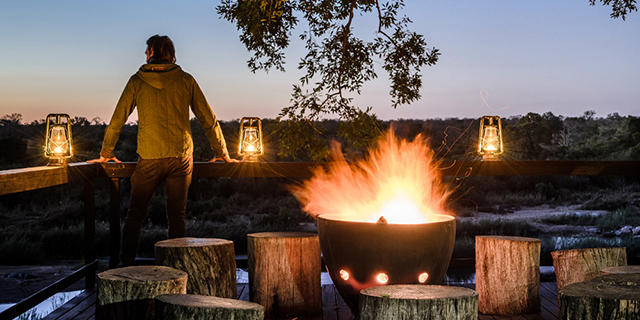 Singita also offers night drives with spot lamps to view nocturnal species. Walking safaris with your guide and tracker provide even deeper and more 'hands-on' insight into the many intricate eco-systems of the African bush. Singita, meaning "the miracle" in the local Shangaan language, perfectly achieves the difficult balance between tasteful and luxurious. 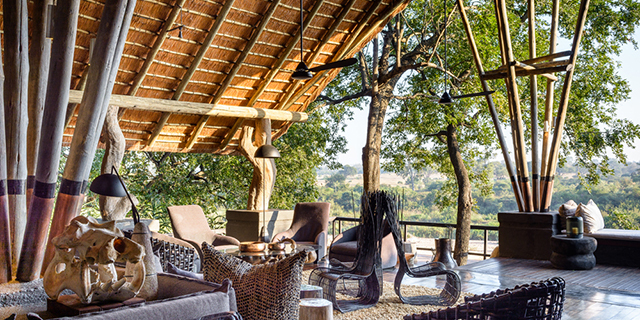 The Reserve boasts two superlative lodges, Ebony and Boulders. Ebony transports guests to the bygone era of English colonial safaris, with campaign furniture and gleaming silver; while Boulders is more contemporary in style, incorporating fine European antiques and African artifacts into a beautifully harmonious whole. 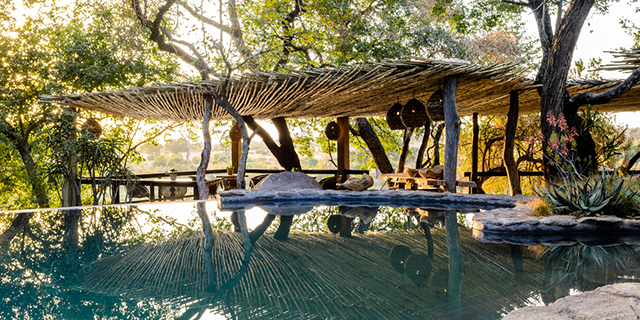 Boulders Lodge is comprised of twelve stylish glass-fronted suites set close to the river bed. Each is exquisitely furnished, with a vast bathroom, private indoor and outdoor showers, a double sided fireplace, a spacious living area, a bed with a 180 degree view of the wilderness, and a private deck with plunge pool. Indulge in a glorious massage from the resident professional masseuse, as you gaze across virgin African bush from your own private deck (optional extra). Both the rooms and lofty open-plan lodge are a feast for the senses with wonderfully textured fabrics in earthy tones, clean white linen and polished teak furnishings. Ebony Lodge is set higher on the river bank, amongst giant Ebony Trees. Each of its twelve cottages enjoys a panoramic view across the perennial Sand River and the vast savannah that stretches away to the horizon. The theme at Ebony is old-world colonial, with a distinct 'Out of Africa' feel. Like Boulders, the cottages at Ebony offer a double-sided fire place, a cozy sitting area, a bathroom with indoor and outdoor showers, a private swimming pool and a secluded game-viewing deck. Both lodges also have access to discreet modern gymnasiums and a state-of-the-art wellness spa. The cuisine at Singita is gourmet and abundant. The wine cellar comprises an underground collection of roughly 12,000 award winning auction wines. Lunch is served buffet style, taken at leisure. Dinner is an elegant experience, always exceptional, and can be arranged anywhere - in the bush, on your deck, in the traditional African 'Boma', in the genteel dining room - wherever your imagination takes you. Few things could be as magical as dining by candlelight, on a table set with crystal and fine table linen under a knob-thorn tree, enveloped in the sounds of an Africa night. We think Singita, "the miracle," epitomizes romance and style in the African Bush and we would enthusiastically recommend the Singita experience to any of our travellers. Singita provides community support through buying locally, maintaining an eco-friendly facility, and supporting local schools and the Tshemba Hosi Care Centre for physically challenged children. The center currently supports 50 local children with disabilities. Singita also provides educational resources and aid to local schools and began a soccer league which provides children from 18 primary schools the opportunity to learn skills and have fun. "Inspiration behind Singita Ebony Lodge"
Singita Private Game Reserve is a Luxury Safari Lodge Located in South Africa's Kruger Park.